Get Voice, Video, Mobility, Security, Unified Communications, and more in a single-source PBX System solution. With over three decades of telecommunications experience, ACC Telecom offers nationwide phone service and phone systems with our SIP Trunk, Hosted PBX, and 3CX IP PBX software technology. We will design and install your PBX system solution, provide training and support as well as be there for you when you are ready to upgrade, expand, and/or relocate your business. Our award-winning small, medium and large office telephone systems include features such as Call Recording, Voicemail-to-Email, Voicemail-to-Text Transcription, Auto Attendant, mobile PBX smartphone apps, video teleconferencing, web collaboration, chat, presence, contact center/call center, hotdesking, PBX security, QoS monitoring, PBX failover, and so much more. ACC Telecom offers four types of office phone systems to fit the needs of any type or size of business. Our Hosted VoIP Phone System includes a complete business communication solution + nationwide calling for one low monthly per-user cost. Hosted VoIP PBX features and services are located in the cloud and are hosted and supported by ACC Telecom– providing you with redundancy, security, advanced applications–and complete peace of mind! View our Hosted VoIP phone system pricing by clicking here. IP PBX software is the newest type of communications system to hit the market—and it’s taking the telecom industry by storm! Our software-based PBX communications system provides the flexibility to run on a server in your office or in a virtual server environment. Our 3CX IP PBX software eliminates per-user licensing and extension fees, offering unlimited users and advanced applications for no extra cost. Our tried and true digital phone systems are perfect for businesses that deploy Cat3 cables or expect longevity out of their phone system investment. 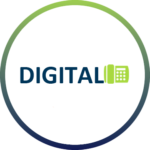 Since digital phone systems are not IP based, they do not pull from your existing bandwidth making it the #1 choice for businesses that do not have reliable internet service. Our ESI phone system offers award-winning, patented technology that will provide a long-lasting, durable and reliable business PBX solution. 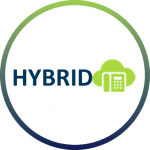 Our pre-owned Toshiba hybrid PBX systems offer both digital PBX and on-site IP PBX options. With an average lifespan of 30 years, Toshiba’s PBX systems are made to last– even through tornados! ACC Telecom will customize and program your pre-owned PBX system to your requirements and specifications. ACC Telecom fully supports all of our pre-owned phone system options with a 90-day 100% customer satisfaction guarantee. We are excited to customize a communications solution that gives your business the power to attract and retain customers, increase productivity, save money, enhance your image and improve customer satisfaction. 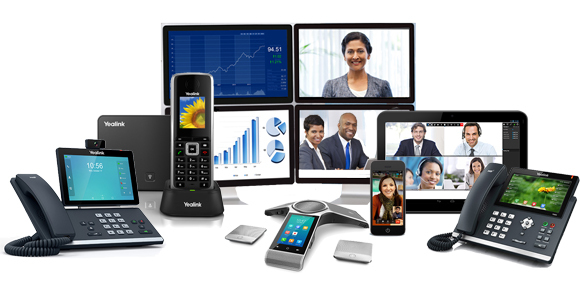 Visit our Plans and Pricing page for pricing on VoIP business phone service and VoIP phone system. ACC Telecom specializes in Cloud Voice PBX, digital, hybrid, IP on-premise office telephone systems. ACC Telecom has specialized in communications equipment and service for over three decades. Contact us today for your free PBX system consultation and ask about our pre-owned telephone system options!